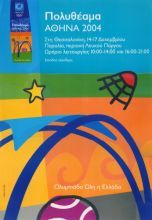 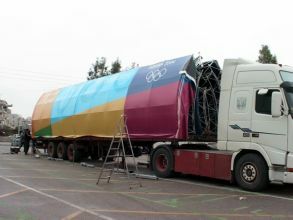 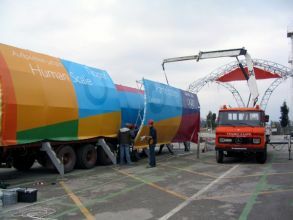 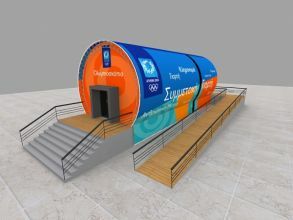 The study concerns the design of a special, ephemeral construction that travels in various cities of Greece and will function as an edutainment space for the dissemination of the Modern Olympic Games history. 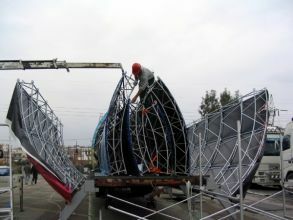 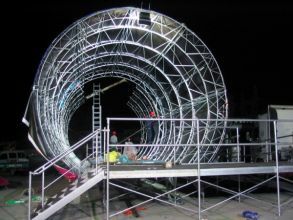 The design led to the idea of a moveable construction in the cylinder shape taking into consideration, on one hand the special requirements regarding functionality due to its ephemeral character (one day for assembling – two days for opening & working - one day for deinstallation - travel in the next city, etc.) 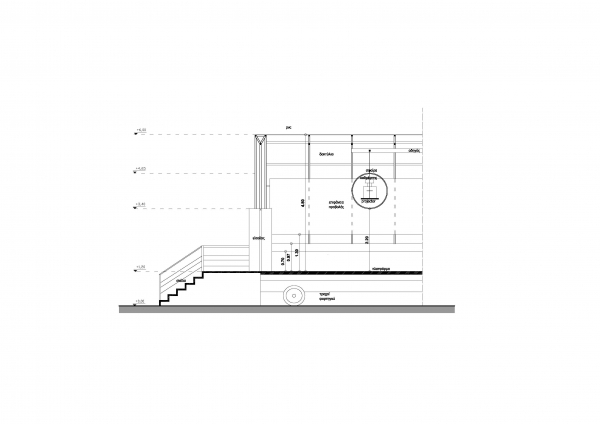 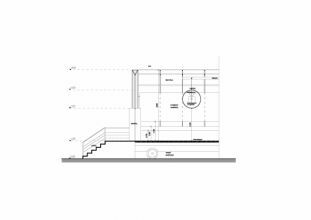 and on the other hand the conceptual requirements for the creation of an attractive construction. 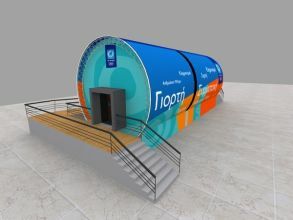 The cylindric form of the construction refers in the concept of a tunnel, the Olympic circles and the time machine and it causes the visitor to travel in the history of Olympic Games. 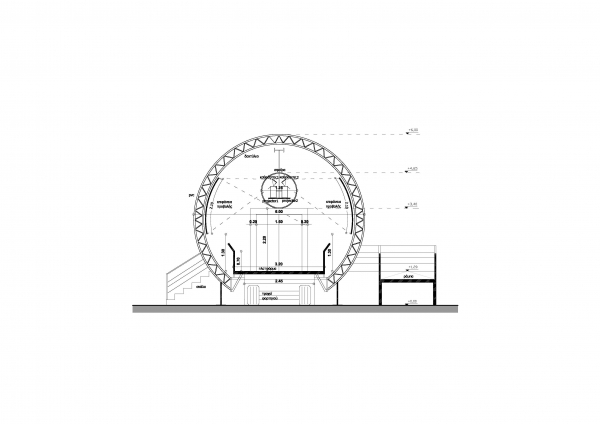 The element that organises the tour in the interior of the cylinder is a metal ball. 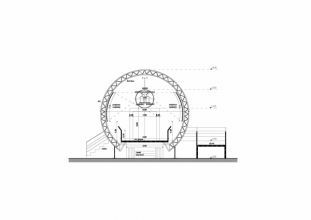 It is moved on a suspended driver by the roof leading the visitor along the cylinder, while simultaneously it transports in its interior space the proper audiovisual equipment. 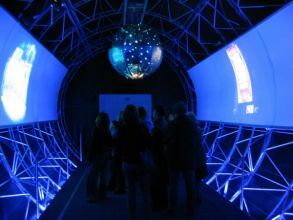 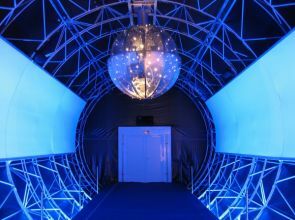 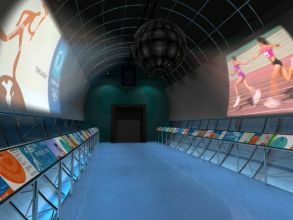 The historical travel starts when the visitor enters the tunnel; she/he follows spontaneously the course of the ball and watches the audiovisual video projections in the two adjacent walls of the cylinder.